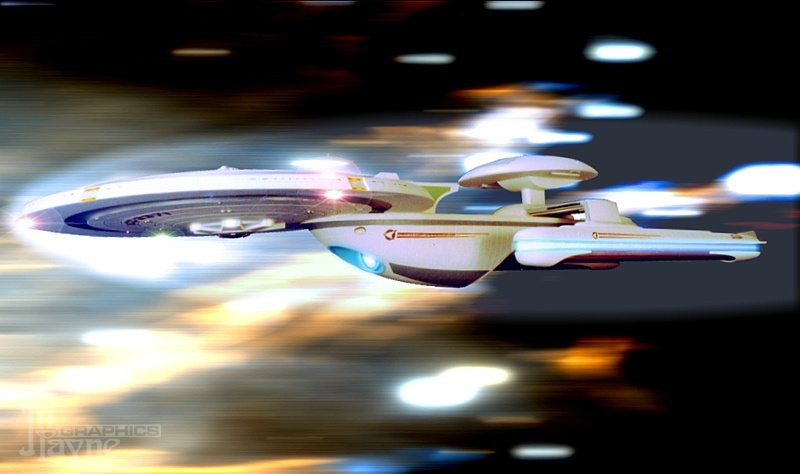 Shortly after the USS ALACRITY's keel had been laid down, Starfleet R&D requested a ship be detailed to test a new long-range sensor pallette. Since the Alacrity was in the early stages of building, she was easily redesigned for the fitment of the unusual sensor dome, to be mounted atop the ship's nacelle pylon junction. 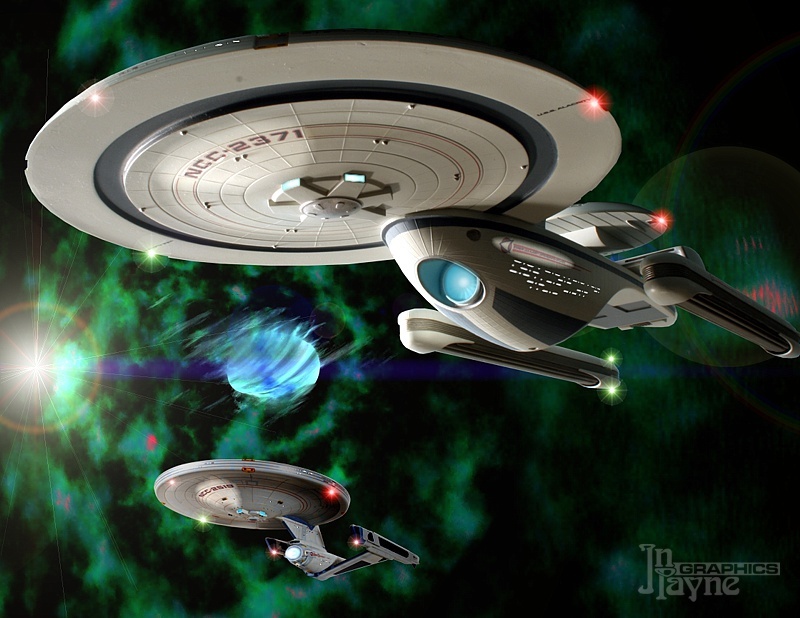 To minimize the height of the mounting pylon, and to clear a sweep radius, the ship's saucer section was fitted directly to the hull without the traditonal "neck" structure, and the nacelles themselves were inverted to hang alongside the hull. 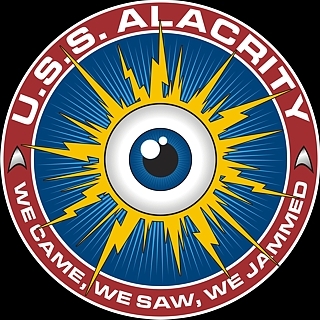 Here, Alacrity acts as a signals jammer while USS Terrell prepares to insert intelligence agents into a suspected Tholian base. 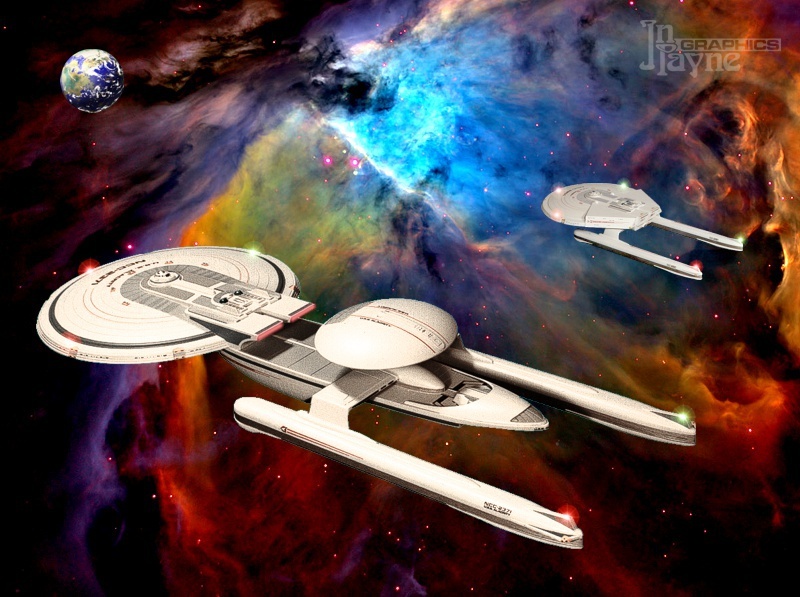 Though the configuration was technically experimental, the ship's contract number had already been assigned, precluding the "NX" prefix. In any case, the arrangement was a success, and the Alacrity and four sister ships served useful lives as long-range sensor platforms and command-and-control vessels. Here we see her living up to her name at flank speed, her shields flaring as she bores thru the ephemeral substance of subspace. Escorted by and spotting for USS Raan, Alacrity uses the wild interference zone of an unstable pulsar to survey the tactical situaion.